I think the last AFoD blog post in the Life After Law Enforcement series will end up being one talking about the interview process. It’s the logical next step after the resume post and it’s also the one that I’ve been dreading and dragging my feet in doing. The resume post was enlightened self-interest in that I can help others out by teaching them what a proper resume should look like, but it also helps my teams and me getting better written and more informative resumes for our future open job postings. Win-win. The interview blog post will go against my self-interest because I’ll go into some of the things that can torpedo a candidate and ways to deal with at least some of the more common interview questions that can trip people up. In other words, it’s me giving out the answers to some of my test questions, but it’s necessary stuff to know if you are plotting that move into the private sector so I’ll have it out at some point soon. The good news is that Richard Bejtlich’s recent and excellent burnout blog post gives me an excuse to write about something else and procrastinate on the interview blog post just a bit longer. The first thing you should do is go and read his blog post. I’ll wait. So, now that you are back, I can tell you that burnout is a very real thing in the incident response world. My first case of career burnout actually happened very early in my career when I was in law enforcement. It’s a good laugh line that I use early in my conference presentations when I tell people that I used to be a police officer until I got tired of living the Jerry Springer show. However, it’s also an illustration of an early personal and career failure on my part. I had all of the training in the world on how to deal with law enforcement stress and burnout, but I didn’t use those tools. Throw in some early medical problems dealing with chronic pain issues and I ended up making a decision that I ultimately regretted which was to leave law enforcement and enter the private sector way too early in my career. It’s not that I haven’t enjoyed many aspects of in the private sector and I’ve certainly made more money than I ever would have had in the law enforcement world, but chasing money isn’t worth it and there would have been plenty of time to do that after a longer law enforcement career. I’ve experienced a couple different versions of burnout in my private sector career from different sources. 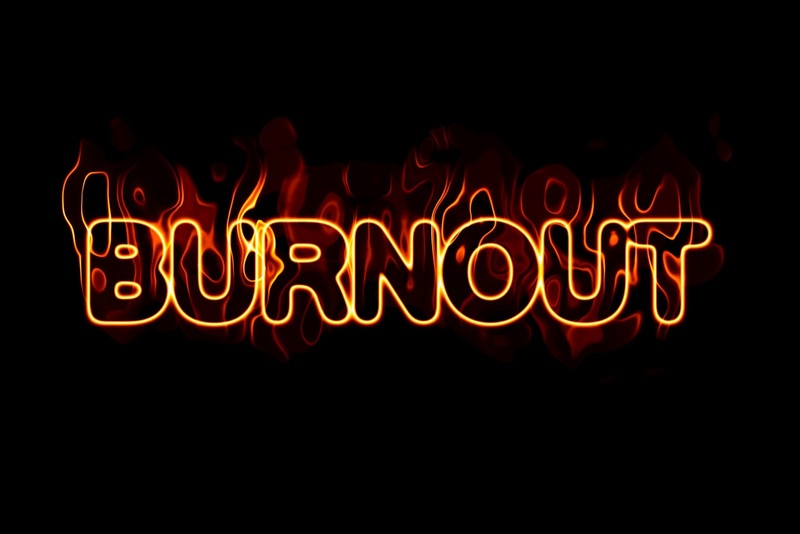 The second case of burnout was one that many people in the digital forensics world experience which is simply too many hours and too much travel. I started my post-law enforcement career with a small digital forensics and electronic discovery startup. It was a fantastic experience and I’m glad I did it. I still have an immense amount of respect for the people who started and ran that business. They put their capital (and sanity) on the line to build a business and made a great run out of it. Since it was a new startup business with a lean staff, it required an immense number of hours on the part of everyone. Once it got to the point where I was traveling 100 percent of the time, I had reached the burnout point and was ready for a change particularly since I was newly engaged to be married. The third case of burnout was just doing one too many major incident responses. I left the consulting world and entered the world of enterprise high-technology investigations. I don’t regret that aspect of my career path and I leaned an immense amount from my time in massive corporate environments. I built and led some teams made up of some of the finest people I’ve ever met, but the tempo and politics of giant corporations eventually wore me down to the point where I was ready for a change. In my case, I was presented with the opportunity to leave the digital forensics and incident response (DFIR) world and enter the world of fraud investigation. It was an easy call to make at the time because of being burned out on DFIR and the opportunity to learn about how banking, payment systems, and fraud actually worked. I’ll admit to missing DFIR work after I spent a couple years away and wondering whether I had made a mistake or not more than a few times along the way, but it ultimately all worked out well. What I ended up with was this weird unicorn skill set where I can have the ability to build and lead teams and projects that involve both the finance, cybercrime, and information security investigation worlds. It’s not that I recommend becoming burned out as a tool for career diversification, but it can be the inspiration to change your path and end up with a better result than if you had stayed on your current path. So after about a half century being alive, I’ve learned that burnout is a thing and it’s important to be able to manage the stress to avoid burnout. If you do find yourself burned out, there isn’t anything wrong with making a change and finding different pastures, but it’s best to make those changes when it’s not a response to getting the point of being burned out in the first place. One of the best hedges against this is having activities outside of professional life that help manage stress and give you an opportunity to do something meaningful outside of career life. Richard recommends doing something physical outside of your career and I think that’s a fine idea. In my case, I picked up practical shooting several years ago and it’s a nice way to get some physical activity when I shoot matches periodically throughout the month or when I’m doing dry fire practice at home. There is very little digital involved with practical shooting beyond the scoring technology. Pistols are basically springs, levers, and chemistry coming together in a small package that is deceptively hard to excel at when the buzzer goes off. I shoot better and understand firearms much better now than I ever did when I was a police officer. I’ve also picked up amateur ornithology now that I’ve found myself living in Florida. Birds are a testament to the wonder of God’s creation and we’ve got a bumper crop of different types of bird species here in Florida alone. I enjoying going to our local beaches and see what our various birds and sea life are up to and I’ll post pictures from time to time on my Twitter feed if I get a good picture of video of some seabird doing something interesting. The biggest thing that made a difference my life is my relationship with Christ. The best stress relief I’ll ever get is attending various services and events at my church. * I grew up and attended various churches throughout the years, but it was only in recent years when I really started to take my faith seriously and that’s been the most lifechanging hedge against stress and burnout that I’ve ever experienced. It’s allowed me to see my career as something I do rather than something than I am. One of my favorite Bible verses is Philippians 1:21 (I even have it on my Twitter profile) which says that “For to me, to live is Christ and to die is gain”. I even have that verse listed on both sleeves of the shooting shirt that I wear to major shooting matches to remind me what the purpose of my life is sanctification (an ongoing struggle since I’m really good at sinning early and often just like everyone else), following His example, and sharing the transforming gospel of Jesus Christ through my words and deeds. Burnout is an important topic, and preventable, but unfortunately, I think we all have to go through it once to actually learn to recognize it the next time it happens. I wrote a bit of mine here: https://brettshavers.com/brett-s-blog/entry/only-race-cars-should-burnout. Thanks for sharing your journey. That you worked these turning points in your career into successes and tremendous growth opportunities gives others, including myself, a great deal of hope.